The point is this: whoever sows sparingly will also reap sparingly, and whoever sows bountifully will also reap bountifully. Each one must give as he has decided in his heart, not reluctantly or under compulsion, for God loves a cheerful giver. And God is able to make all grace abound to you, so that having all sufficiency in all things at all times, you may abound in every good work. As it is written ‘He has distributed freely, he has given to the poor; his righteousness endures forever.’ He who supplies seed to the sower and bread for food will supply and multiply your seed for sowing and increase the harvest of your righteousness. You will be enriched in every way to be generous in every way, which through us will produce thanksgiving to God. This Sunday I will be sharing a message called The Reason I Give. 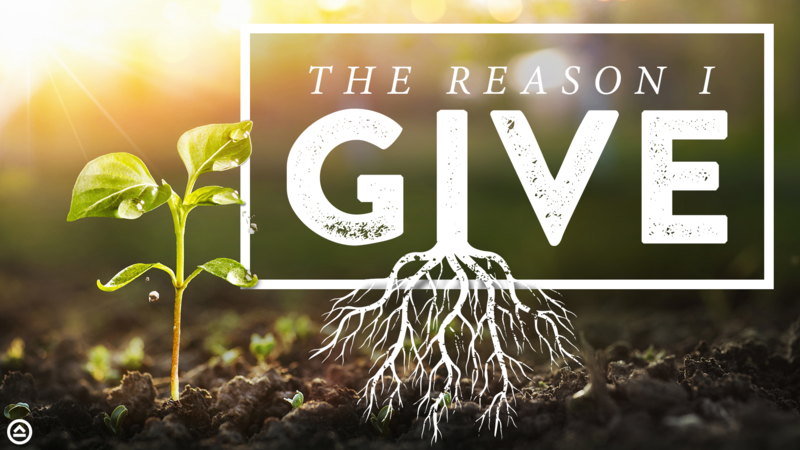 I realize a message on tithing is not everyone’s favorite subject matter, but as we enter the Easter season what better time is there to talk about giving? After all, this is the time of year when Jesus’ sacrifice is really brought into focus. He gave all, for us! I don’t want to give away the entire message, but I will tell you that He (Jesus) is The Reason I Give. And I give to His Church because the Church is His Bride! Which is why we will be spending a little more time in worship this week and giving thanks for all Jesus has done for us! The Church is the vehicle that Jesus chose as His method for reaching a lost and dying world. But these days there is no shortage of charities and missions who are asking for money. Many of them are worthy of our giving and should be supported. With that in mind, we are just a few months away from the end of our fiscal year. As it currently stands we are about 6% below what we budgeted for 2018-19. That means we are roughly $30,000 lower than what we believed the church would receive this year. This shortfall has taken place in spite of a slight increase in worship attendance and growth in each of the individual ministries: Students, Children, and Connect Groups! So this Sunday we will focus on Why We Give and the blessings that come from it. The Elders of New Hope would like to make April a month of giving. Please be in prayer and ask the Lord how you can go above and beyond in your giving to New Hope. If you have not given to the church before, perhaps this would be the perfect opportunity to test the Lord and bring your tithe to the storehouse (Malachi 3:10). Let’s work together as the body of Christ and look ahead to Sunday when we can begin this month with cheerful giving!